This course provides faculty with an introduction to the laws that influence the use, re-use, and distribution of content they may want to use in a course. Activities include finding openly licensed content for use in a class and publishing openly licensed works created by faculty. At the end of the course, students will have openly licensed content that will be ready for use in a course. Writing Activity - "Why Open"
"Fair Use": Guidelines or the Law? 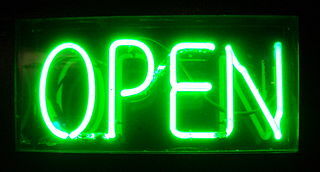 Cover Image: "Neon Sign: Open 2005." Authored by: Justinc. Located at: http://commons.wikimedia.org/wiki/File:Neon_Open_green.jpg. Content Type: CC Licensed Content, Shared Previously. License: CC BY-SA: Attribution-ShareAlike.